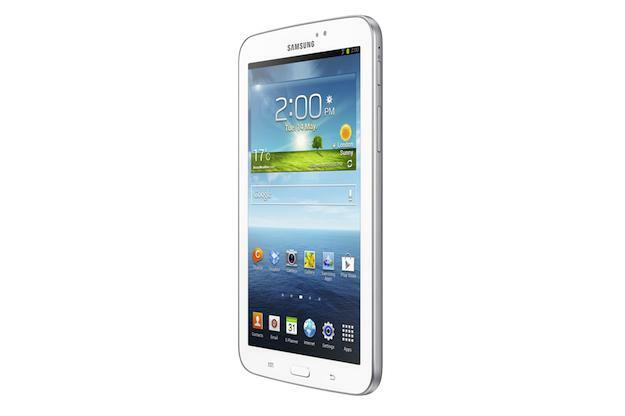 Check out our review of the Samsung Galaxy Tab 3 (8-inch) tablet. Samsung’s refreshed 7-inch Galaxy Tab tablet was rumored to launch at Mobile World Congress, however the company decided one tablet was enough, and went for the Galaxy Note 8.0 instead. The more wallet-friendly slate has now finally made it’s debut, and it’s, um, not all that different to the last one. The Galaxy Tab 3 replaces, as if you hadn’t guessed, the Galaxy Tab 2. As you can see from the images, the Tab 3 has taken on the new Samsung family look, and is very similar to the Galaxy Note 8.0. It’s down in weight from the Galaxy Tab 2, weighing in at 302 grams, and it measures 9.9mm in thickness. This makes it a fraction slimmer and lighter than its primary challenger, the Nexus 7. So, while the design and the chassis have been improved, the innards don’t seen to have changed much. For a start, Samsung has stuck with a 1024 x 600 pixel resolution for the 7-inch screen. It’s certainly not the only one to offer such a low-res screen, as Amazon does so with the basic Kindle Fire, however when tablets such as the Nexus 7 and the new HP Slate 7 pack 1280 x 700 pixel resolutions in to a sub-$250 tablet, the Galaxy Tab 3 doesn’t standout. Hiding inside is a 1.2GHz dual-core processor with 1GB of RAM. The Galaxy Tab 2 employed a Texas Instruments OMAP chip, but at the moment it’s not clear which processor Samsung has stuffed inside the Tab 3. There’s a choice of either 8GB or 16GB storage memory, plus there’s a microSD card slot ready to increase this by up to 64GB. The Galaxy Tab 3 also has a 3-megapixel camera and a new 1.3-megapixel video call camera around the front, plus other features such as Bluetooth 3.0, Wi-Fi Direct, GPS and a 4000mAh battery. As for the OS, Samsung has installed Android 4.1 Jelly Bean, and has placed TouchWiz over the top. There’s no mention of any special Samsung software in the press release, but it just wouldn’t be a Samsung product without a few, so expect the usual suspects to be installed. 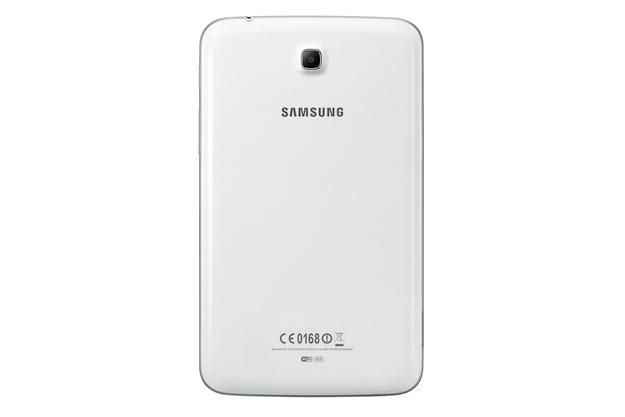 In addition to the regular Wi-Fi Galaxy Tab 3, Samsung will produce a 3G version with voice capabilities, for those who think the Galaxy Mega doesn’t look big enough when held up against their face, putting it up against hardware such as the Asus Fonepad. The Wi-Fi model will go on sale first, with a global launch in May, while the 3G Tab 3 will follow in June. Costs haven’t been mentioned, but we’re hoping it’ll have a more aggressive pricing structure than the Galaxy Note 8.0.